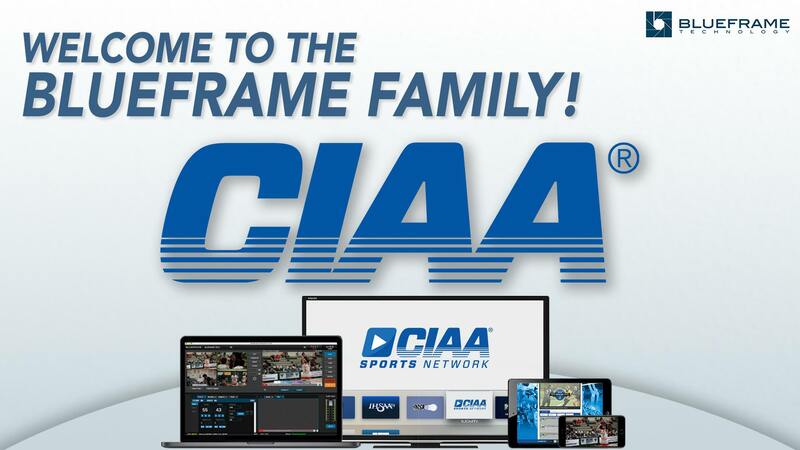 The CIAA Sports Network, powered by BlueFrame Technology! Lexington, KY (July 17, 2018) – The Central Intercollegiate Athletic Association (CIAA) announces the conference office and all 13 of its member institutions have partnered with Blue Frame Technology to create the all-new CIAA Sports Network. The partnership will enable all 13 schools to stream their game broadcasts to one platform provided by Blue Frame, beginning with the 2018-19 athletic season. Additionally, the CIAA will provide video coverage of its championship events along with other original content. BlueFrame Technology is the only end-to-end live streaming technology provider specialized for the sports market. Founded in June 2015, BlueFrame now has over 450 customers servicing over 100,000 live broadcasts. BlueFrame services all levels of sports organizations with the majority of our clients in the collegiate sports market. In the Division II space, BlueFrame currently provides digital networks for the GLVC, MIAA, ECC, MEC, CACC, and CIAA. For more information, visit www.blueframetech.com.